Saybrook Point was the site of the first coastal fortification in Connecticut and the second colony to be established following the settling of the “Connecticut Colony” (Windsor, Hartford and Wethersfield). 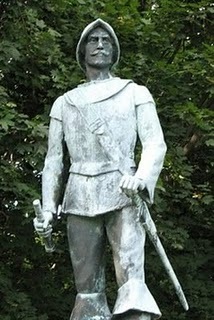 Cypress Cemetery was laid out by Lieutenant Lion Gardiner (photo, Gardiner’s statute at Fort Monument Park) when the colony began in 1635. Oddly, there is no evidence of burials taking place from 1635 until 1685 when Nathaniel and Susanna Lyndes infant daughter Susanna was buried in what would become the Lynde family plot. Several factors may contribute to this fact. First, during that period, markers weren’t always placed at gravesites and, if they were, they were sometimes made of wood, which didn’t survive the years. Second, there is conjecture that some of the earliest colonists were buried in the area underneath College Street in front of the cemetery. 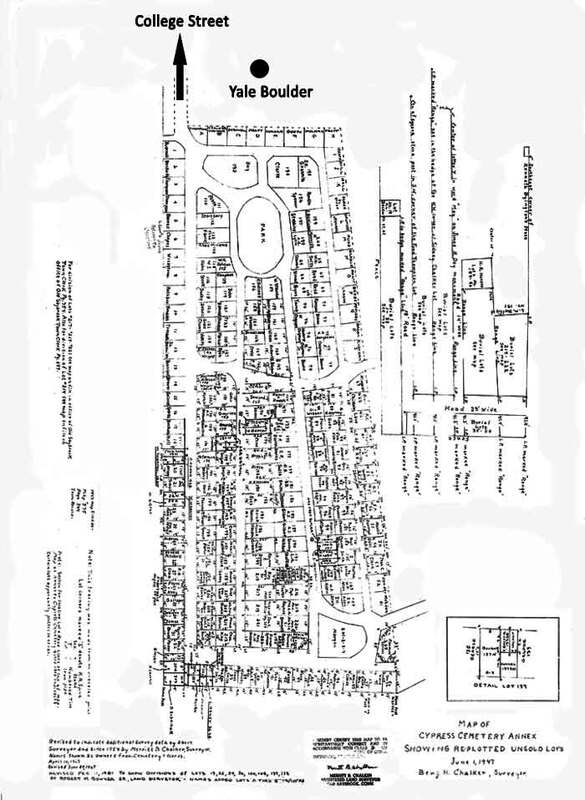 A map from 1838 Saybrook Point suggests that the “highway” at that time was north and west of the present College Street, meaning that the College Street area in front of the cemetery was a part of the burial ground. The later construction of the road covered what would have been early burials. Finally, almost half of the original settlers removed to a new parish in the Norwich area in 1660. They followed their pastor, James Fitch, who left to start that new parish. The graves of many of those earliest settlers can be found in the ancient burial grounds in the towns surround Norwich, as is the grave of Reverend Fitch. Using the following links, many stories of early Saybrook history are told through the lens of Cypress Cemetery.